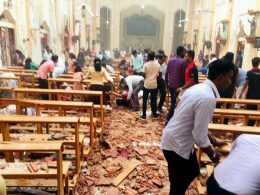 The death toll for the Easter Sunday terror attacks has risen to 290 by Monday morning with 500 have been injured, Police Spokesman Ruwan Gunasekara said. 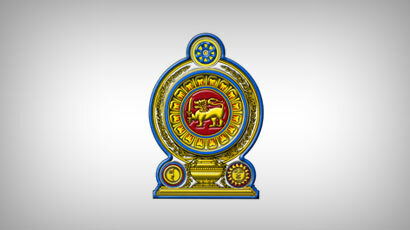 The Sri Lanka Air Force has seized 152 T56 live ammunition in an emergency search operation in Diyatalawa. 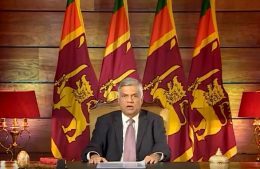 Prime Minister Ranil Wickremesinghe, last night, addressing the media, at Temple Trees, said that all measures would be taken to wipe out terrorism and ensure that incidents like what took place on Easter Sunday would not occur again. 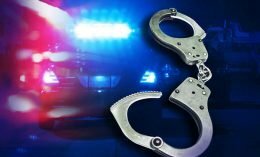 A van allegedly used to transport suspects and explosives was taken into custody in Wellawatte this evening, police said. 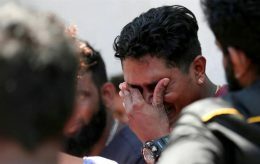 Sri Lanka’s defence minister says seven suspects have been arrested following a series of bombings that killed at least 290 people and wounded about 500 in churches and hotels on Easter Sunday. 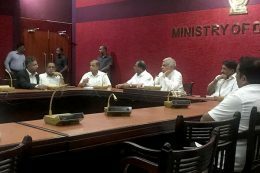 President Maithripala Sirisena has instructed the Inspector General of Police (IGP) to impose police curfew across the island with effect from 6.00 p.m. today until 6.00 a.m. tomorrow, President’s Secretary Udara R. Seneviratne said. 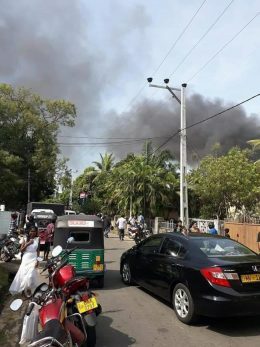 Another explosion is reported from the Maha Wila Udyanaya area in Dematagoda. 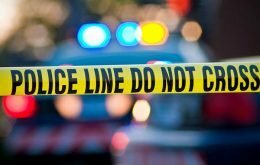 Another blast is reported from a reception hall near the Zoological Garden in Dehiwala. 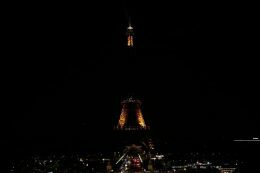 All government schools will be closed on 22nd and 23rd of April due to the ongoing terror situation, the Education Ministry said. 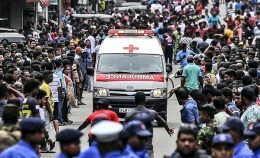 At least 190 persons have been reported dead and nearly 460 injured in all six explosions were reported this morning at three churches in Kochchikade, Katana, and Batticaloa and three five-star hotels in Colombo, police said. 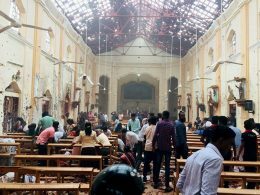 At least 25 people admitted to the Batticaloa Teaching Hospital from the explosion at Zion Church in Batticaloa were killed, a hospital source said. 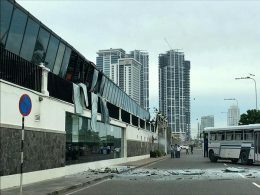 Three more explosions are reported from Shangri-La, Cinnamon Grand and Kingsbury Hotels in Colombo. 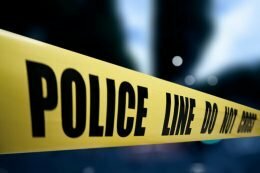 Explosions were reported at St. Anthony’s Church in Kochchikade, Kotahena and St.Sebastian’s Church in Katuwapitiya,Negombo a short while ago, police said.